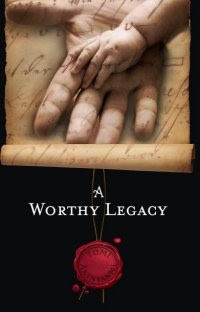 The following guest post was written by Tomi Akinyanmi, author of the book “A Worthy Legacy“. The first question I’ve been asked most frequently since the publication of my book A Worthy Legacy is how did you do it? The question has been asked not by strangers but rather by people who knew me most – my family and friends. Being a stay at home mom to three little children (5, 3 and 2), I’m often seen running errands, doing unending laundry or simply chasing the children up and down the stair ways so many couldn’t understand how I managed not only to write a book but also to self publish it.First things first, I couldn’t have done it without the support of my wonderful husband who was there to encourage me all the way as well as taking on some tasks and running my errands (like picking up the dry-cleaning and going grocery shopping and even changing the baby’s diaper) when things got a little overwhelming and urging me on when things get discouraging. Perhaps most important element of the project was the determination to see it through and when all things seem to be getting out of hand, that focus kept me going and because of it I could sit back and reflect and look for alternate solutions to problems that crept up along the way. Most times I have been able to find solutions which at first seem elusive and bounce right back to keep things on track. The second question I’ve been asked almost as frequently as the first is where did you find the time? That is much easier to answer. By having a lot of sleepless nights not because I didn’t want to sleep but because the only time I could work without any disturbance was when everyone else especially the children were in bed. Like most writers I am unable to stop writing until I have exhausted my thoughts and I managed to squeeze more hours out of a day than the normal 24. However, thought I thought writing was tough when I began the publishing process, I realized that the writing was probably the easiest part of the project. Publishing wasn’t as easy especially when you are new to the game. I had gotten a bit of rejections on my poetry, so I decided earlier with the book project to go the self publishing route. Being a novice, I needed to do a lot of research and find information with regards to the publishing business which meant a lot of time spent in front of the computer. Though the writing was done, I discovered my sleepless nights were not over just yet. My Laptop became my pillow and most nights were put into good use finding all the information I needed before the break of day. Many days I would get just an hour of sleep before I needed to get up and prepare the children for school. But my priority was clear and it never changed, family first and business second. So my days were spent tending to the needs of my family and the nights writing or web surfing for information. It soon became clear that the earlier I can get the children into bed, the faster I can get to work and then the more sleep I can get. I had to come up with creative ways to get things done faster thus I acquired another specialty which was finding the most practical ways to get things in place. We had someone come clean the house fortnightly, my husband found a place where we could drop our laundry excluding the private ones of course and pick it up the next day all washed and folded and we discovered we could shop online for grocery and have it delivered the very next day at home. I also broke the project down into parts and set up objectives for each day. With this creative and practical ways, I got more time to spend on my wonderful family as well as the project and a little more sleep. Even with the publishing done, I found I still cannot rest my oars, it’s not just enough to have a good message in the book, I have to get people to read it and so I’m back to surfing the internet at night searching for a way to get the word out about the message of the book which I strongly believe in. Through the process of writing, publishing and marketing, I have learnt that there is no dream that we cannot attain if we set out and get the order right. Determine your priority, set a focus, break the goal down into manageable pieces and tackle each piece at a time. Sure there would be obstacles cropping out from time to time but remember every obstacle is also made of little pieces. Once you can identify the pieces to the problem, you can tackle them one by one and before you know it you’ve attained what at first seem impossible. There is nothing is beyond each and everyones reach and this as a matter of fact is what A Worthy Legacy talks about. How we can live life in a way that when would look back year after year, not only would we have no regrets but would celebrate when we realize that we have lived our dreams.